One of the categories of drugs that is commonly abused is hallucinogens. These drugs cause a person to experience visions and perceptions outside of reality, sometimes providing a sense of escape from daily life, or of more intense feelings and sensations that can seem spiritual. DMT is one of these types of drugs, often referred to as the “God molecule” because of the intensely spiritual or otherworldly hallucinations it provides. However, DMT can cause a person to have problems relating to normal daily life, resulting in relationship issues and an inability to keep up with responsibilities. In addition, use of this drug can cause uncomfortable mental and physical health issues that, left untreated, can lead to more severe problems later in life if the drug is used regularly. DMT, or n,n-dimethyltryptamine, is a strong hallucinogen that exists in a natural form in most living things, including human beings. According to The Airspace, in the 1950s, it was found to have psychedelic properties. While not much is yet known about this common, naturally occurring chemical, it is suspected that the body produces it under cases of extreme physical or mental stress, such as during childbirth, deep prayer, or meditation. Whatever the purpose of DMT in nature, it has been a popular hallucinogen for centuries, used by extracting it from plants where it is found in large concentrations. Ayahuasca is probably one of the best known plants for DMT use. As explained by Live Science, ayahuasca tea has been used for centuries by native South American cultures in spiritual and cultural ceremonies. In fact, it gets its name as the “God molecule” because of the perception that the hallucinations experienced while using it provide a deep sense of connection and spirituality. According to the National Survey on Drug Abuse and Health, DMT is experiencing a greater increase in first-time use than other hallucinogens. DMT provides a powerful but brief hallucinogenic experience, which seems to create a sense of connection and spiritual depth. An interview from Little Atoms demonstrates that using DMT can be a life-changing experience for some. This can make people want to continue abusing it after the first time in order to have similar experiences. Over time, this can create a psychological need to keep using the drug. DMT does not appear to have any effect on physical addiction. The body does not become dependent on DMT to function properly. Nevertheless, psychological addiction can be overwhelming, affecting the individual’s life and ability to keep up with day-to-day tasks and relationships. According to Medical News Today, DMT can sometimes create visions so convincingly real that people who use it may have trouble fitting the hallucinations into their daily lives and experiences. For some people, this can create a strong need to continue experiencing trips as an escape or as a way to try to connect what happens under the drug’s influence to what happens when they are not on the drug. This, in turn, creates a strong psychological need for the drug. Psychological addiction is still addiction, and it can damage an individual’s ability to live a productive, happy life. To avoid this, a person struggling with DMT abuse or addiction can benefit from addiction treatment to learn to manage the symptoms of addiction, overcome triggers and cravings to use the substance, and return to daily life and relationships. 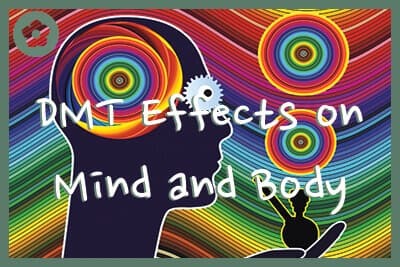 Another reason that treatment may be necessary is that repeated DMT use can have negative effects on the mind and body that can persist throughout the person’s life, potentially damaging mental and physical health for the long-term. According to the National Institute on Drug Abuse, DMT affects the brain through the serotonin pathway. This neurochemical has a number of functions in the body, but is also considered to have a role in feeling happy and in a person’s general sense of wellbeing. It affects mood, and it can have an effect on memory. Over the long-term, these can result in damage to the physical systems connected to these symptoms. For example, repeated incidences of increased heart rate and blood pressure can damage the heart and circulatory system, leading to the potential for heart disease, including stroke, heart failure, and heart attack. While much is not yet known about the long-term effects of persistent DMT use, these effects are typical in people who experience repeated heart issues related to drug abuse and addiction. Along with the mental and physical effects above, DMT abuse and addiction can be recognized through a variety of mental, emotional, and physical changes that may occur as abuse of the drug continues. Just one use of DMT may not result in these changes. However, with repeated use, it may be possible to observe signs that the individual has been abusing and may be addicted to DMT. Again, with long-term use, the effects on breathing and heart rate can cause permanent damage. If the signs indicate that DMT is being abused, intervention is important to prevent further injury or illness from occurring. When selecting a treatment program, certain factors can determine the program most likely to help the individual recover from DMT addiction. Primary among these is to make sure that the program is based in research that demonstrates the ability of the treatments to have positive outcomes. Principles of Drug Addiction Treatment: A Research-Based Guide demonstrates the treatments shown by scientific research to offer the individual the best chance to achieve recovery. 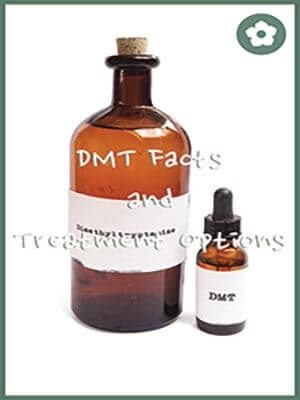 By seeking a program that meets the principles described in the guide, the individual will have a better chance at gaining the knowledge, skills, and therapy needed to recover from DMT abuse. In addition, seeking a program that has experience in treating DMT addiction can provide further benefit, including an understanding of how best to help the individual manage the withdrawal symptoms involved in stopping use of the drug. For the most part, the symptoms of DMT withdrawal involve cravings to continue use, increased by the inability to reconcile hallucinations with reality. Nevertheless, working with professionals who understand how this affects the individual can provide the best chance of completing detox and moving forward into treatment. By taking these factors into account when creating the individual’s care plan, treatment professionals are more likely to identify appropriate therapies and treatments customized to these needs. No treatment fits all individuals; picking the ones that fit the individual’s personal situation increases the chance that the person will achieve and maintain recovery. 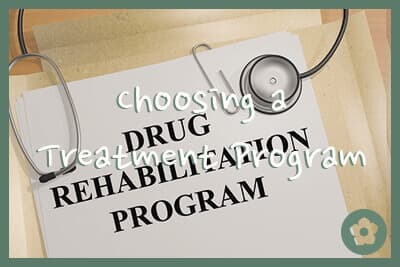 Other factors that contribute to selecting the right type of treatment program can include outside factors that may affect how treatment will work for the individual. While most treatment programs are designed around the person’s mental and physical health issues, that sometimes may not be all that affects the outcome. For example, perhaps the individual’s assessment using the American Society of Addiction Medicine levels of care indicates that the person’s level of addiction doesn’t require more than an outpatient treatment program. That would be great, but if the person’s family or environment would make it harder to avoid relapse, the program might actually need to be residential in order to have the best chance to work. Alternatively, if the person is a high-level, vital employee for a company and can’t take the time needed for a full residential program, it can be possible to find treatment that allows for time to work, such as an intensive outpatient or executive treatment program. The key is that all aspects of the individual’s life should be taken into account before treatment is selected. The intake specialists at reputable, research-based facilities can help to determine the program that aligns with the person’s best interest. In any case, treatment is the first step toward helping a person who is struggling with DMT abuse or addiction get on the path to recovery, building a more solid future of abstinence and health. Contact us today to talk with a Admission Navigator who will give you the information you need to make the right decision for you and your loved ones.